Honeywell tower breeze fan is another great option if you need a tower fan to cool down your living space. When summer days come knocking at our door, we all start thinking about different options for cooling down the room we are in. It can be challenging to find the perfect fan for your home especially with all the different options out in the market. Perhaps you found the right features you need but the price is not right, and maybe you found the fan for the right price but the fan is missing some of the features you want the fan to have. 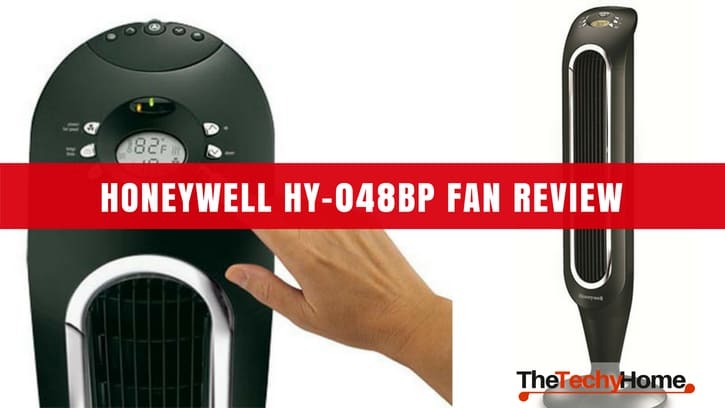 Today we are going to review the Honeywell tower fan to make it easier for you to decide whether you need this fan or not. Hopefully this review will be helpful. Before we get to the review, let us talk about the price. Price of this model is 69.99$ so the price is not that high. 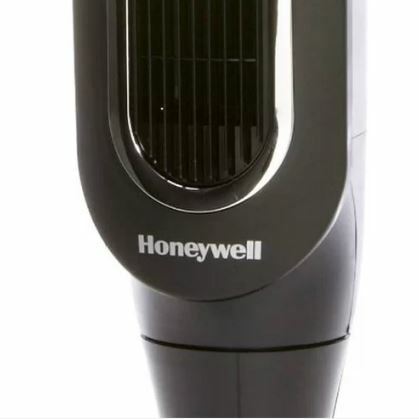 Honeywell fresh breeze tower fan hy 048bp with remote control offers a various features so you get a pretty good deal for the money you are paying. On the other hand, if you are looking for something cheaper, this fan might be too much for you to spend. Like we mentioned, the Honeywell tower fan hy 048bp with remote control has many features. One of the best things about it is the opportunity to adjust the temperature of the fan between 60 and 90 degrees. This is a great option when you want to really cool down the room or you just want to add a fresh breeze into your room. the temperature can be adjusted either with a remote controller or by hand by using the buttons on top of the fan. You can also just increase the airflow alone so there is no need to turn on the cooling down feature. Another great thing about the Honeywell tower fan is the ionization system which cleans the air as it goes through the fan. However, don’t expect the Honeywell hy-048bp fan to clean the air completely because it can never work as well as an air purifier. there are three speeds on this fan so you can choose an option that best suits you. The breeze mode allows the air to flow freely and change automatically which is a great option if you want the fan to circulate air by itself. Having an automatic function allows the air to move around the room freely and it creates a much more natural atmosphere in the home than just having the fan blow the air same way at same speed. This honeywell tower fan with remote control offers you the option to set up a timer so that you don’t have to think about turning the fan on or off. the timer can be set up for 12 hours. Most fans have an 8 hour timer, so this is a great option if you want the fan to work a little longer. If you don’t need the fan to work for 12 hours, then you can set the timer hourly. The lowest amount is one hour and you can start from there and increase the hours. Honeywell fresh breeze tower fan can be adjusted to a height of 40 inches or 32 inches so you can place it on the floor or put it somewhere higher on a shelf. If you have high furniture then the higher option can help the fan reach higher places. The remote control is a great addition and it definitely helps you adjust the Honeywell fresh breeze tower fan settings easier. It is a little bit interesting when it comes to design because it is fastened to the top of the Honeywell tower fan and when you remove the remote control it has a shape of a half-moon. The remote control can be a bit hard to hand in smaller hands. On top of the remote there is a flashlight so it is quite handy when you want to change the settings in the dark. The Honeywell tower fan is quiet when working which is a great replacement for a quietset. Comparing honeywell fresh breeze vs quietset, you get the quality. Like we already mentioned, the honeywell hy-048bp fan has a remote control on the top so it is quite easy to use but when it comes to design it is a little bit strange. The base of the fan can easily break if you handle it too rough, so be careful when assembling the Honeywell tower fan fan. You get a five year warranty on the Honeywell tower fan so you can always use it in case the fan brakes down. This is helpful since many fans have a shorter warranty. For a price of only 69.99$ you are really getting a deal here with this honeywell tower fan with remote control. Customer support team is always there to answer all your questions so there is no problem when it comes to issues regarding assembly or anything else regarding the fan. Pros – Pros on this oscillating tower fan model are definitely the price and the features like speed selecting option and the fresh breeze option if you want a natural airflow around the house. Cons – Unusual design on this oscillating tower fan and a very gentle base of the fan which can easily breakdown when assembling the fan. The Honeywell tower fan is overall a great option for a fan, if you don’t have a lot of money to splurge on a fan. This tower fan is going to cool down the room you are in in matter of minutes, and there are many cool features to choose from. You can set a timer up to 12hours or less (every one hour) if you want to set it up for less time. This fan has a breeze option which allows the air to flow through the room naturally without having the fan blow same amount of air at all times. Honeywell fresh breeze vs quietset you get the same amount of quality for a better price. One of the cons on this fan might be the design which is not for everybody. Another bad side is the gentle base of the fan which can easily break down when you try to assemble the fan itself. Overall, this is a great fan which has a five year warranty, so if anything happens you can always use the warranty you get.